ZIMBABWE – Police came down heavily and stopped a Return Itai Dzamara Rally that was supposed to be held at Mandava Stadium in Zvishavane recently. However, Tsvangirai and 400 other people could not be deterred as they gathered at MDC T Senator for the Midlands, Lilian Acropol’s house where they prayed for the return of Dzamara. Police vehicles started patrolling the small mining town with their sirens wailing and water cannons early in the morning. Tsvangirai ctiticised the Police for their action and described it as unprofessional. “This was very unprofessional to stop concerned people from praying for their loved one who is missing. Police should also have considered the fact that the prayer meeting had been cleared and friends, family members including Dzamara’s wife and children had travelled all the way from Harare for this,” said Tsvangirai . “Dzamara was like family a family member to me. 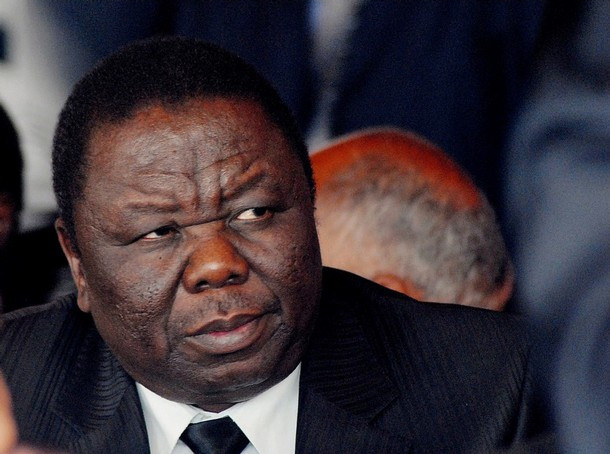 l have always seen him as a man on a mission in the struggle to free Zimbabwe and that assignment he will fulfil no matter what,” said Tsvangirai.